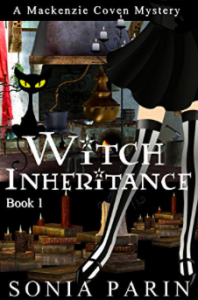 I downloaded a copy of Sonia Parin‘s Witch Inheritance from Amazon, as a freebie. That was…..that was a decent outline of the dialogue for a future book. Unfortunately, I don’t feel like it was then fleshed out into an actual novel (or even a novella). It is literally like 80% dialogue, with no world or character building. The reader is dropped into the middle, characters appear and aren’t introduced or explained, the plot make no sense and the narration is cheesy. I mean, the villainous evil is called the “inky black fog.” And while I sense this was meant to be humorous, it wasn’t. Then the climax arrived abruptly and the book ended on a cliffhanger. I will not be continuing the series. This entry was posted in books/book review and tagged book review, fantasy, magic on April 13, 2018 by Sadie.